I welcome you to our 180 Degree book site. Please take a look around where you'll get more exposure to the story I share in the book. Thanks for visiting! 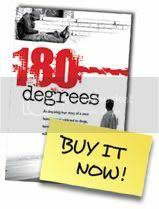 "180 Degrees" an autobiography by Robert R from Robert Radcliffe on Vimeo.